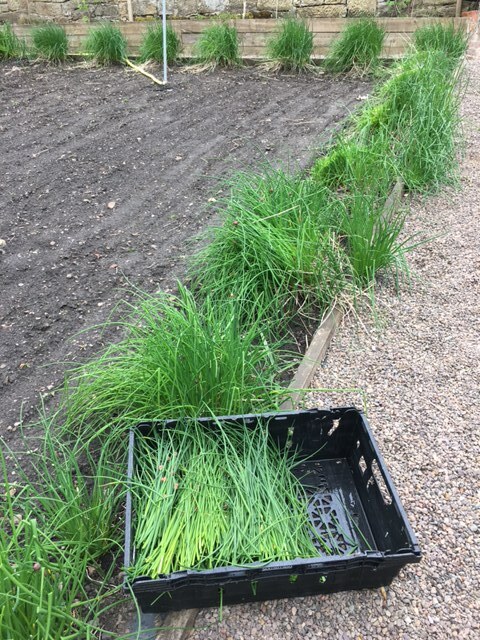 The carrots, beetroot and leeks that were planted at the end of autumn are looking good and will prove to be a fruitful harvest in the next few weeks if we get a good burst of sunshine. 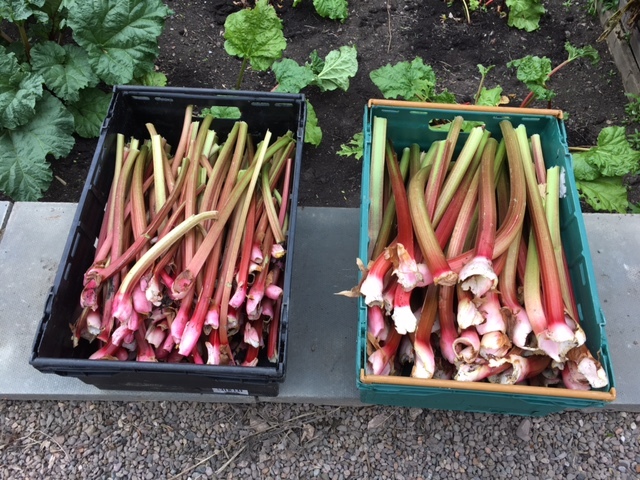 The rhubarb is unbelievably good. Victor spent 4 hours harvesting on Friday and then the two of us got another 2 hours of crop on Sunday. The beautiful aroma of jams and chutneys in the kitchens is intoxicating. It’s just a shame that you can’t smell what the team get to smell when they’re busily prepping away. Soft fruit was the overriding success of the kitchen garden last year. Gooseberries, redcurrants, raspberries and white currants were truly beautiful. And this year’s plants are looking super healthy with the blossom in full glow on the lower beds where we have the currants, cranberries and blueberries. Fingers crossed we’ll be lucky with the pickings. The polytunnel unfortunately has been hit by the super cold spell we have had of late with temperatures dropping to 4’C which may affect our salad crops, but fingers crossed. The greenhouse is courgette and kale central. I’ve never seen so many seed trays. Watch out Edinburgh courgette flowers may be on every one of our menus from June if we’re lucky! I’ve just bought some Scarola salad leaves inspired by a tweet from Joanna Blythman visits to the markets of northern Italy. We’ll let you know how we get on. BEES. Victor as you know loves his girls. We have three hives in the kitchen garden and two at MOD 1 gardens. We still have activity on both sites but we’re going to have to buy some new nucs to get them all back up and buzzing. Last year Victor chose to leave 50% of the honeycombs in the hives to support them over the winter and not rely on fondant as their food. It’s definitely worked well for 3 of the hives. We’ve had enough honey nevertheless to supply all our venues for the cheese boards which is really amazing. Well done Victor. You’ve been a good buzzy bee.